So many people put their money into the market and then forget about it for years, just assuming that because they invest in the market, they will yield large gains over time. And while this buy-and-hold strategy works very well, there are times when you may want to invest against the market. Just look at the volatile situation going on right now with our government. There are constant rivalries and stalemates when it comes to the government finances and they are just kicking the can down the road. Sooner or later, this will cause the market to plunge — maybe it’s just a black swan event, or maybe it’s something more. Rather than simply throwing your money into the “stock market pot,” you might want to think about investing against the market. There are three main methods for making money while the market goes down. The average investor may have heard of a couple of these, but has never utilized them in actual trades. This method offers versatility, liquidity, and leverage, and of course it gives the ability to bet against an equity. This method of trading is often very complex and is not recommended for those that are uneducated in options trading. So what is options trading, really? Simply put, one can purchase an options contract to buy (or sell) a stock at a specific price at a later date. By purchasing an option, you have the ability to invest against the market. You may have heard the phrase, “shorting a stock,” before, but only a very small percentage of the population have actually put this phrase to practice with their own investment dollars. When one shorts a stock, they actually do not own the stock at that current moment. They agree to sell the stock to an individual with the intention of buying that same stock at a lower price at a later date. Therefore, at $50 per share, the person shorting the stock would agree to sell their share to someone, then wait for a specified period of time, hope that the stock goes down, and then actually buy the stock to sell once the price hits the desired low. Be very cautious when exercising this shorting technique. Since you are agreeing to sell shares that you don’t have, this entire transaction is done purely on margin and could cost you large sums of money in the event that the stock actually goes up in value. But, if you are fairly certain that the stock is going to tank, this method can be incredibly lucrative as well. For those of you that might be shying away from options and shorting, one of the better alternatives is trading inverse ETFs. This method allows the trader to bet against the market without all of the complex lingo of shorts and options. 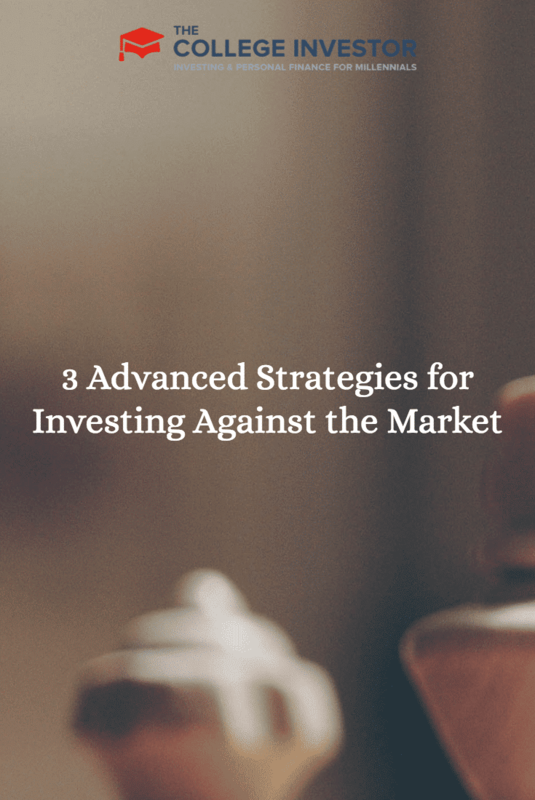 However, this technique does not allow you to bet against specific stocks — only the broader markets. When the market shows its volatility and you believe that it will soon track downward, betting against the overall market can be a great financial move. However, as I stated before, one must be very careful when performing these trades because just as quickly as they can earn you a fortune, they can also cause you to lose three fortunes. Have you ever invested against the market? What tips or advice do you have? Short (pun not intended) of some options trades, I haven’t ventured into the world of betting against the market. Lack of experience, knowledge, and risk/reward as a result just don’t add up to me jumping into this type of investing. It does involve more risk and does take some time to get the hang of it. I am a stay the course investor. I invest in low-cost passive index funds and set my asset allocation according to my age, time to retirement, and risk that I am comfortable with. I do not try to time the market, but I do sometimes invest against it. The way I do that is through rebalancing my portfolio once a year. I sell some of my highest gaining funds and purchase the assets that I don’t hold enough of to meet my asset allocation. Sell high, buy low. That’s a great way to pocket some gains every year. Rebalancing is key! Usually when you are betting against the market you are being more of a trader than an investor. If you want to be a trader then options are the way to go in my opinion. Options are generally lower cost when you are doing a lot of trades but you really have to know what you are doing because you are undertaking a riskier type of activity. Anytime you go against the market I view it as trading, because you have to constantly monitor your position and you’ll most likely only hold it for a short period of time. Definitely not investing.